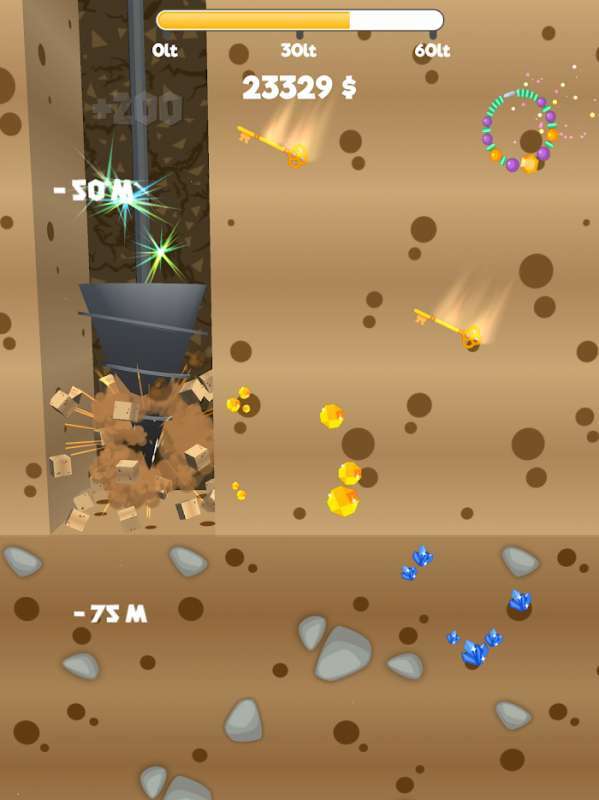 Gold Miner is a classic game that is no stranger to gamers from the newly developed gaming platform. It has been associated with efficiently childhood, and has given me a lot of happy feelings, or helped my leisure time become more meaningful. If the classic gold digger game has a miner’s image with a rudimentary tractor. What will the modern gold digger have? A rigorous workforce with long experience in mining? Alternatively, hi-tech machines? Let Pick The Gold to explore the modern gold digger and answer this question! 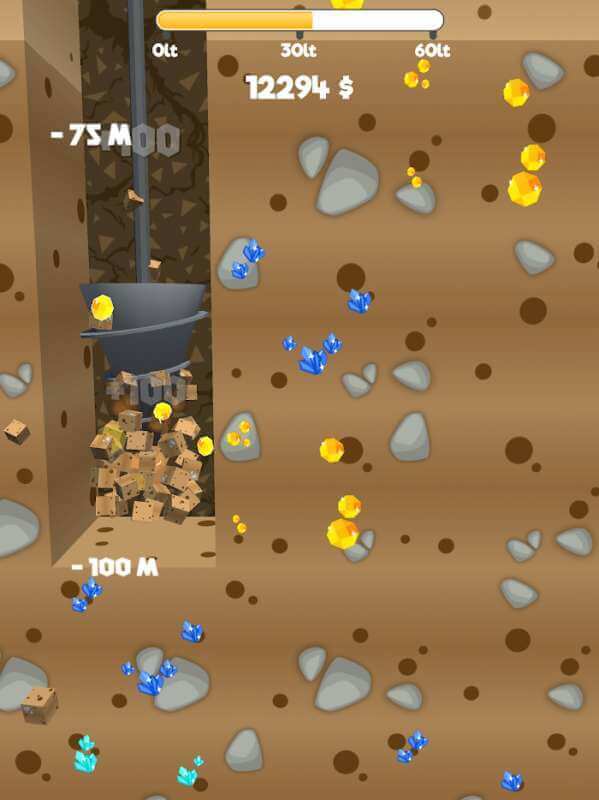 Pick The Gold is a modern version of the game of Gold Miner. In this game, you do not have to use a rudimentary tractor to dig up gold, instead, a high-tech drill, which will replace the human power. 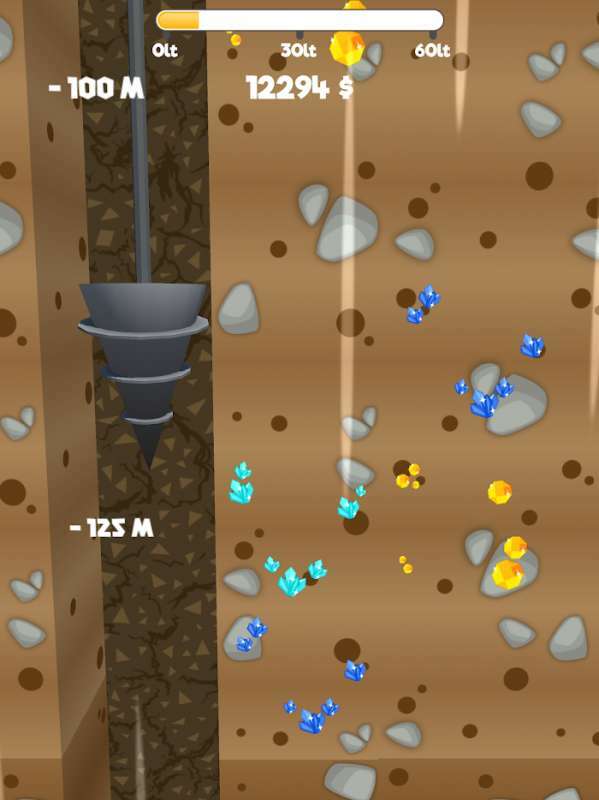 Instead of having to adjust the direction of the drill as in the Gold Miner, in this game, you just tap once on the screen; the machine will automatically dig deep underground and mining precious minerals. The things that you can exploit from the ground include gold, diamonds, emeralds, quartz, sapphire, etc. However, these minerals are distributed in different depths, when the deeper you dig, the more valuable the minerals are. After each dig, the mineral mining is all converted to gold for you, and you also get experience points to level up. The new levels will have new challenges, more difficult, more fun for you to experience. 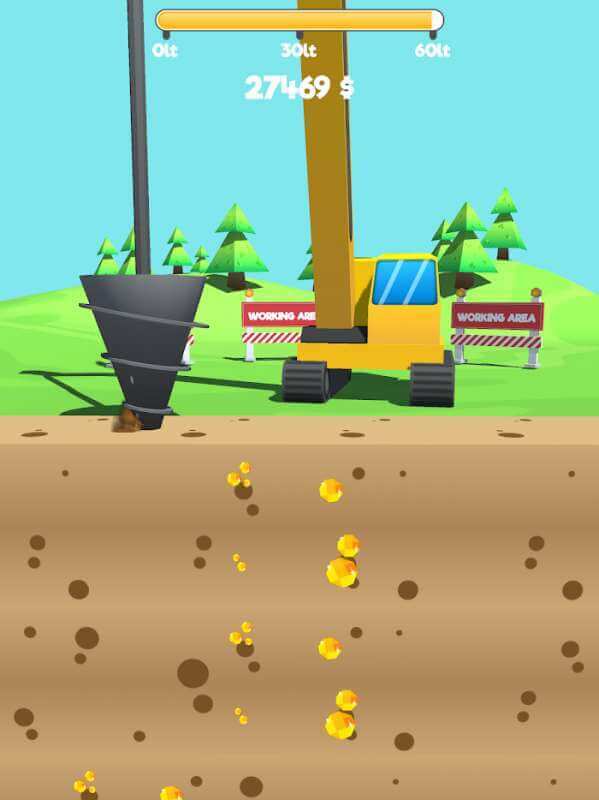 For gold coins, use them to upgrade your drill. Initially, the drill had oil volume indexes, tubes, digging speed,…is quite low. You can upgrade them to make them more productive. When you upgrade the oil capacity of the machine, the machine will dig longer, and if you upgrade the drill, you can dig deeper. However, keep in mind that you need to upgrade both components equally. If you carefully upgrade the oil capacity and forget the drill pipe, you will not dig deep, but excess oil, much waste. Besides, the game also contains advertisements. The system will suggest that you want to see the ad. You will receive several rewards along with free upgrades if you accept some of the ads. However, you also need a network connection to perform this function. All to all, hope you will enjoy the game Pick The Gold. This game is well suited for a wide range of ages, from children to older adults, and is quite light and idle. Besides, to Pick The Gold, Vodoo also has many other excellent games for you to choose from such as Helix Jump, Paper.io 2 or Soccer Kick.